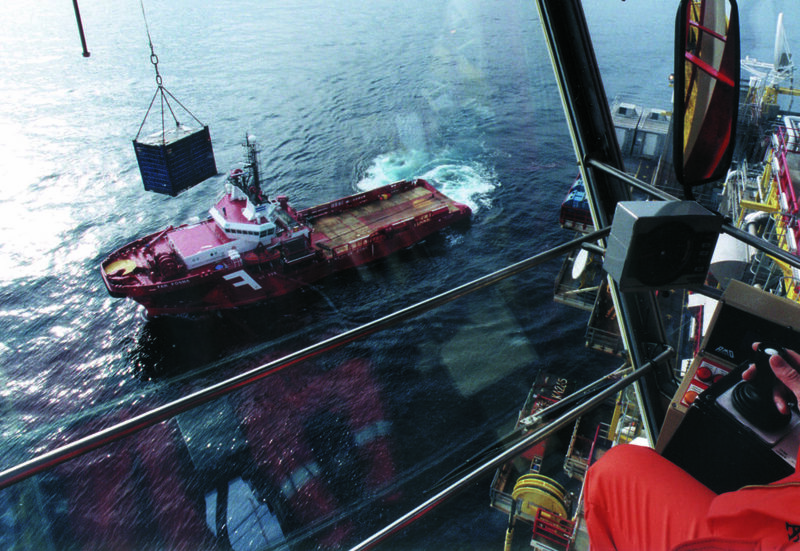 The main crane on the Draugen platform was operated with great eagerness and a big smile by Christian Democrat party leader Kjell Magne Bondevik during the 2001 general election campaign. A member of the Storting (parliament) and his party’s candidate for prime minister, Bondevik was paying his first visit to the installation on the Halten Bank off mid-Norway. During his guest performance as a crane operator with the opportunity to lift 45 tonnes, he displayed big interest in equipment on the platform manufactured by Molde Kran. [REMOVE]Fotnote: NTBtekst. 07.08.2001, «Bondevik høyt oppe på Draugen». Like Bondevik, this company was rooted in the town of Molde south of the Draugen base in Kristiansund. Both communities lie in Møre og Romsdal county. But he was not alone in enjoying the experience. Roald Lekve, the crane operator who showed him how to lift and lower with the crane, also had a point to make. “Now you’ve been allowed to try out the highest job on board here, it’s only reasonable that I should try out yours when you become prime minister,” he told the politician! [REMOVE]Fotnote: Historier fra Draugen av Per Sælevik, 2017. The occasion for the visit was an invitation from the Confederation of Norwegian Enterprise (NHO) and Norske Shell to the three top Christian Democrat candidates in Møre og Romsdal. In addition to Bondevik, these were May-Helen Molvær Grimstad and Modulf Aukan. 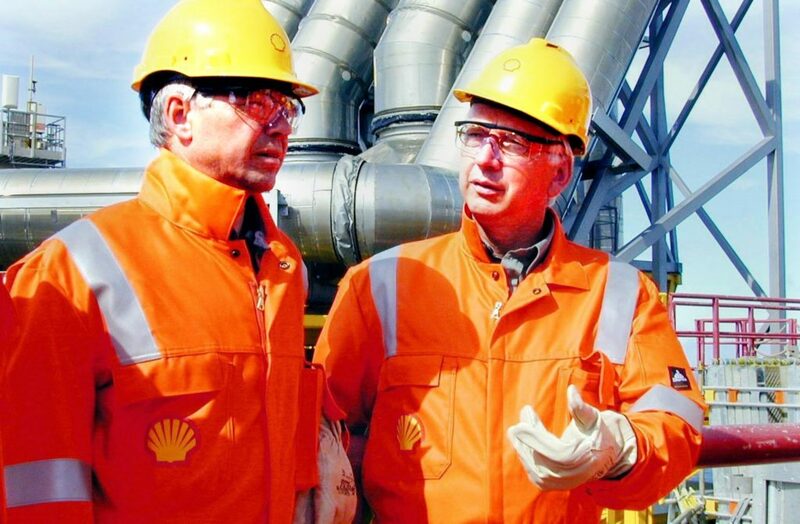 The NHO representatives included director general Finn Bergesen Jr.
During the six hours the politicians spent on the field, they toured the platform and were briefed in detail about Shell’s operations by the company management. Bondevik also had a town hall meeting with the workforce, which had decided in a preliminary session that pensions and working time arrangements were the issue. Gunnar Sembsmoen was deputed to ask about this on their behalf, and explained that life offshore was tough both physically and mentally. The Christian Democrat was asked if he would help reduce the retirement age on the Norwegian continental shelf (NCS). But he refused on the grounds that the country had a labour shortage. “All the same, though, we have special provisions which mean that the age limit can be lowered for certain occupational categories,” he noted. “That could be an option, but we then need sufficient data to demonstrate that many platform workers have to quit before reaching retirement age because they’re worn out.”[REMOVE]Fotnote: NTBtekst. 07.08.2001, «Bondevik høyt oppe på Draugen». Fotnote: Historier fra Draugen av Per Sælevik, 2017.